Amid rumours surrounding its future, the Institute of Contemporary Arts held its 2010 Gala Party at Camden’s Koko, resplendent with red carpets and table decoration by fashion grande dame Vivienne Westwood. Hit with the news that Lily Allen had pulled out at the last minute with tonsillitis, the star-studded crowd nevertheless gave a Veuve Clicquot-fuelled welcome to replacement act Ellie Goulding, tipped by many as ‘one to watch’ this year. She wasted little time before belting out hit single ‘Starry Eyed’ to the sea of glazed-eyed ICA members, artists and industry bigwigs that filled the imposing space. A short and frenzied set by Aussie band The Temper Trap followed, upping the ante with their trademark pacy rhythms before Hackney's own cocknbullkid changed the tempo yet again with her willfully catchy electro-pop. 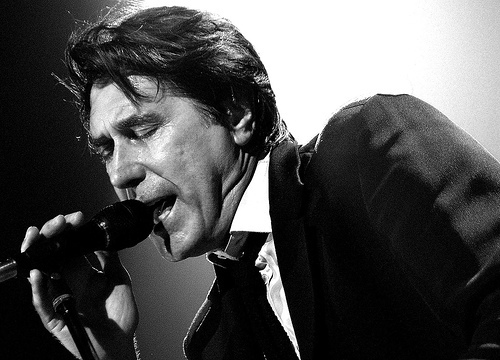 Yet it was the lilting voice and bona-fide star performance of craggy-faced crooner Bryan Ferry, backed by a glut of soulful accomplices, that brought the occasion to its climax. With a golden back catalogue including the likes of ‘Love is the Drug’, the set was always bound to intrigue and to the heady delight of the now-packed dancefloor, he didn’t hold back the hits. The aforementioned receives an almighty cheer while bluesy stomper ‘Let’s Stick Together’ got just the sweaty rapture it deserved; the title also more than apposite at this fundraiser event, the success of which served as a fitting reminder of the significant clout that the ICA, with the continued support of its patrons and the wider art world, still musters.